During the reception following the Memorial Day Service, the Veterans Caucus will auction three fine art prints to benefit the Scholarship Fund. 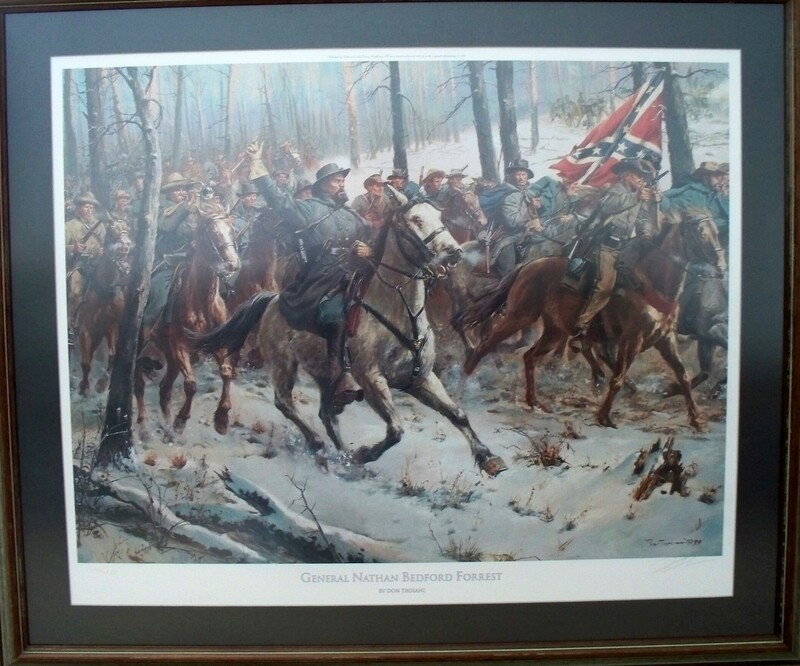 The first piece is a beautifully framed 29 x 35 inch limited edition print depicting General Nathan Bedford Forrest, a Confederate general who was known for his aggressive battle tactics during the Civil War. This print was published in 1999 and is numbered and signed by the artist Don Troiani. It was donated by Jim Morris, an Army veteran and Life Member of the Caucus. It comes with a letter of authenticity and a description of the battle scene, as well as, information about the life of General Forrest. This will make a fine addition to any Civil war art collection. The second print of the auction is by George Skypeck, who is the artist who created God Loves the Grunt, the signature artwork of the Veterans Caucus. 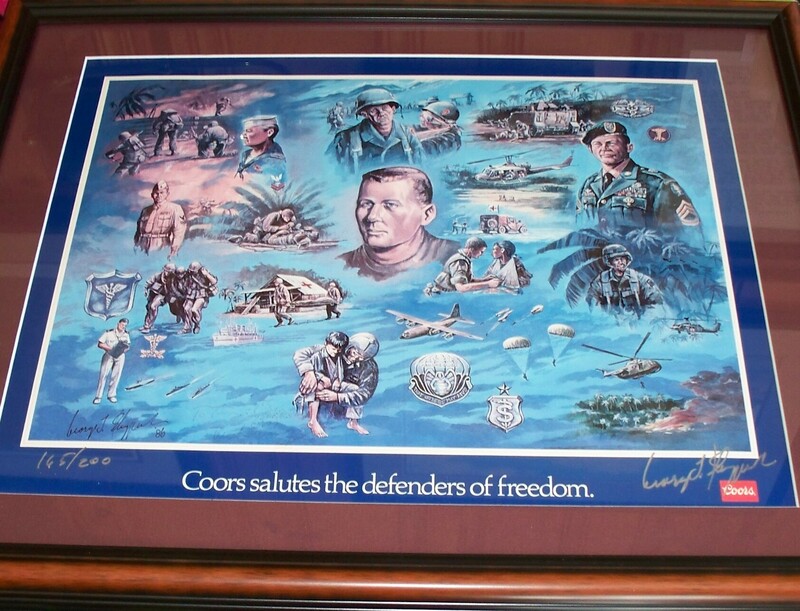 This piece, part of a series of military inspired prints that were commissioned by Coors Brewing Co., is titled the Defenders of Freedom. This particular piece, which measures 16 x 20 inches, honors military medical personnel from all branches of the service and is numbered and signed by the artist. It is being donated by Tim Egan, an Air Force veteran and Life Member of the Caucus. This print also has a very special autograph on the reverse side that will be able to be seen through the backing of the frame. At the AAPA Veterans Caucus Memorial Day Service in 1989, it was signed by Lynda Van DeVanter, an Army nurse who served during the war in Vietnam. She was a very big supporter of veteran's organizations and established the Women's Project at the Vietnam Veterans of America. Her book, entitled Home Before Morning, published in 1983, was the inspiration for the TV series China Beach. Tragically, Lynda passed away in 2002. 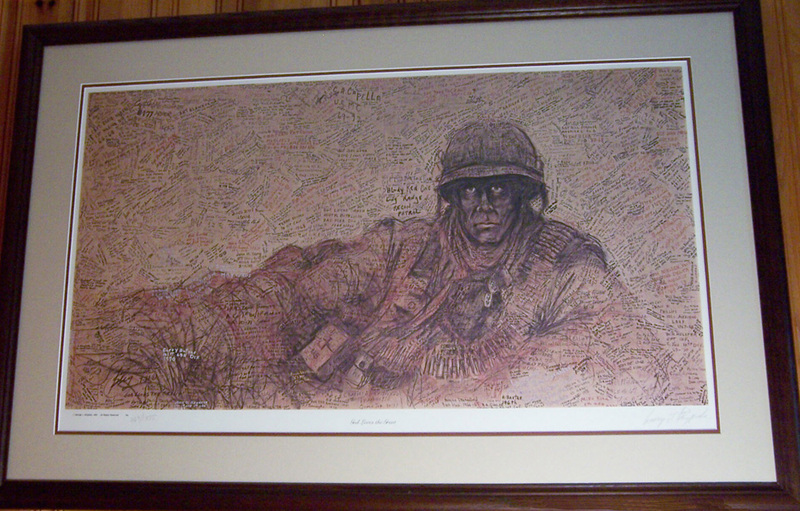 A framed copy of God Loves the Grunt will also be auctioned at the social reception following the Memorial Day Service. All the funds raised go to the Veterans Caucus Physician Assistant Student Scholarship Program.